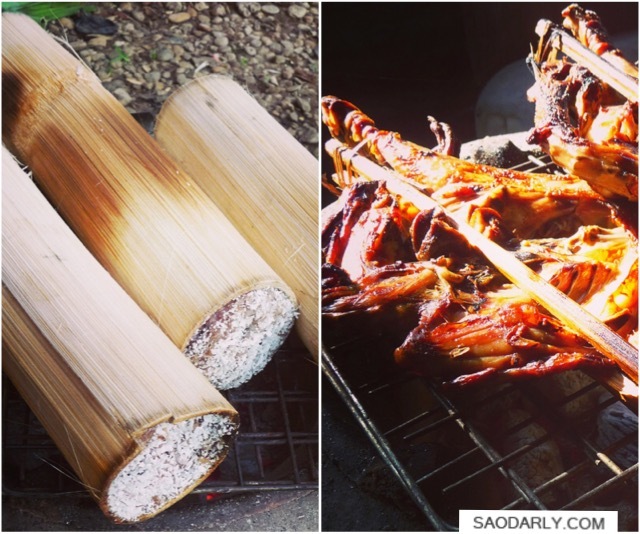 Khao Larm (Grilled sticky rice in bamboo tube) and Ping Kai (Grilled chicken) for breakfast in Pakse, Laos. The grilled chicken was bought from a food vendor. 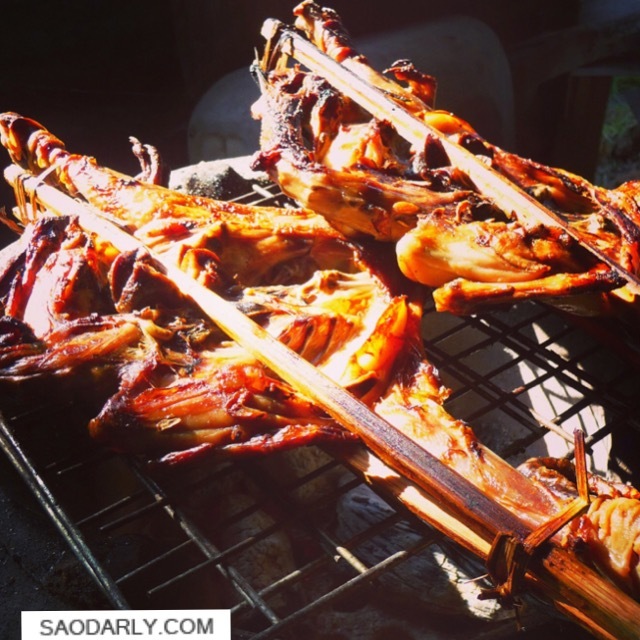 This type of grilled chicken is known locally as Ping Kai Napong (ປີ້ງໄກ່ນາປົງ, Napong Grilled Chicken). 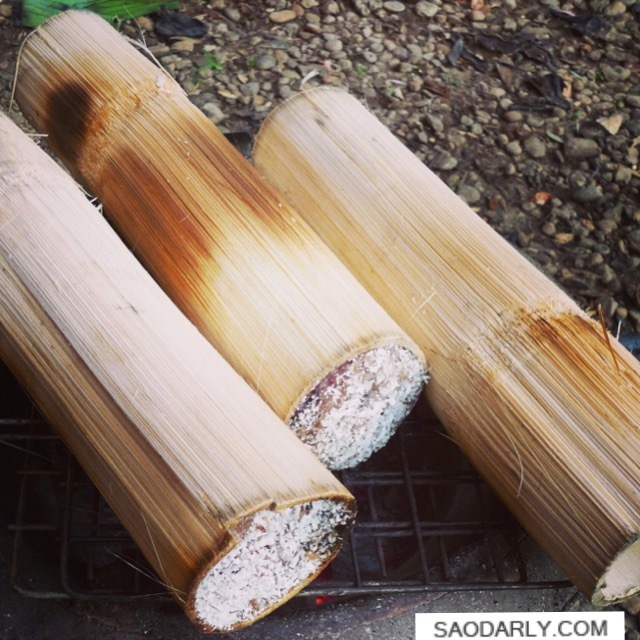 The grilled sticky rice in bamboo tube (Khao Larm, ເຂົ້າຫຼາມ) was also brought from a food vendor in the center of Pakse, Laos.